Dubai is often considered as a place for a stop-over on route to elsewhere, rather than a destination in itself. On my recent trip to Dubai, I spent 5 days getting to know this city and it’s a whole lot more than just a dusty desert. You may be surprised to find out it’s also green, it’s colourful and a bit of sparkle thrown in for good measure. There is quite a lot of ongoing construction but areas that have been finished have been done extremely well. So now you may be asking yourself the question of ‘what to see and do in Dubai’ and how many days should you spend there? If you really want to see what’s on offer then 5 days is a good amount of time. I easily filled my 5 day itinerary with things to see and do and in fact, felt that I could have tacked on a few more days for good measure. You will be surprised with the diversity, the fun and the great welcoming you will receive in Dubai. The first skyscraper in Dubai was built in 1978 and Dubai hasn’t looked back since! 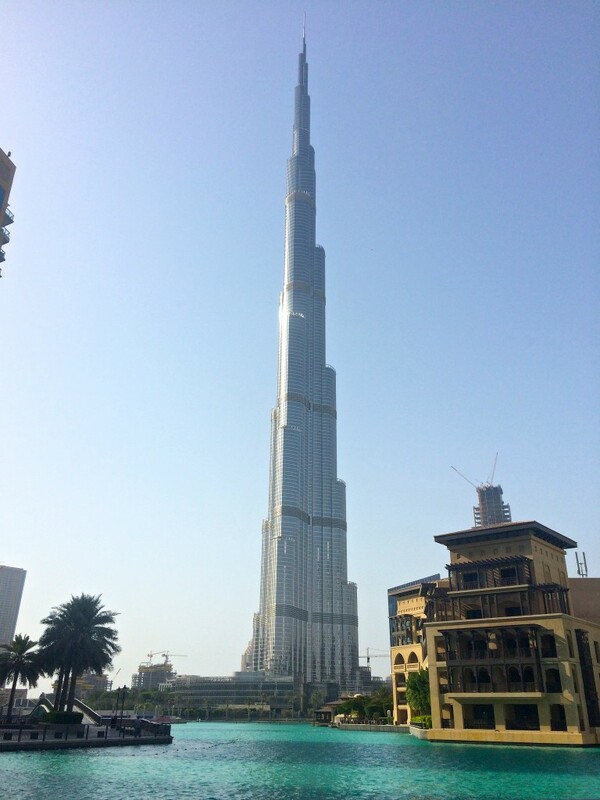 A visit to Dubai isn’t complete without a photo of this iconic building dominating the skyline of downtown Dubai. Located next door to the Dubai Mall this building glistens by day and sparkles at night. There is an observation deck at the top where you can view the cityscape of Dubai at 148 stories high. Tip: I found the best place to view this building is from Neos – a bar on the 63rd floor at The Address. It’s a perfect spot to have a cocktail and a bite to eat whilst watching the sun go down right beside the Burj Khalifa. Dubai is a shopping mecca with so many stores you could disappear for days! It’s a case of shop until you drop and if you haven’t dropped then you haven’t shopped hard enough! The Dubai Mall is not only a place to shop but there are various things to do and admire here too. 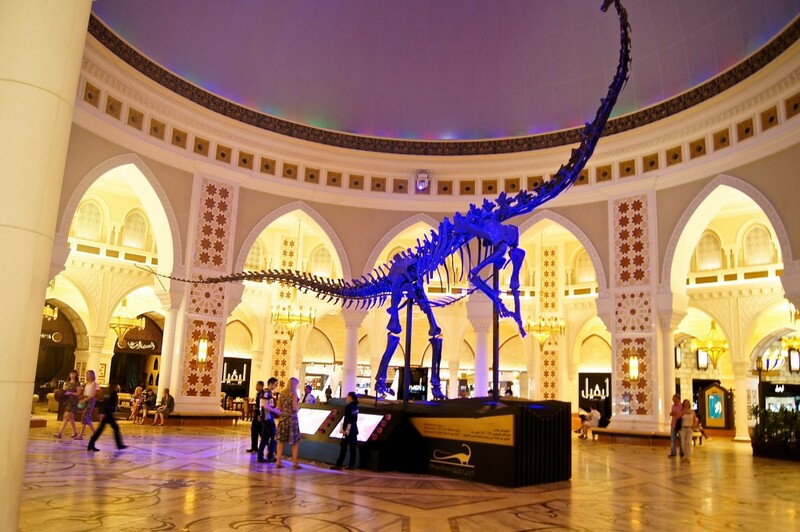 There is an aquarium, an ice skating rink, cinemas, art and the award winning edutainment – kidZania. 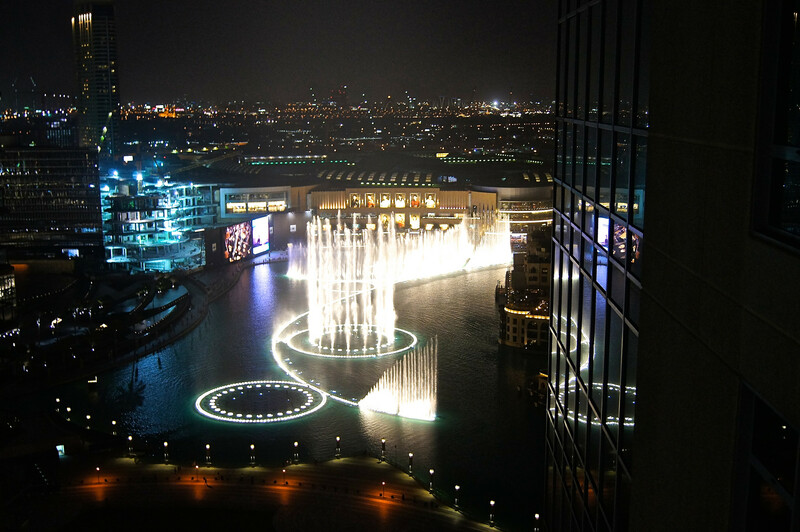 The Dancing fountains are located just outside and the Burj Khalifa is right next door too. 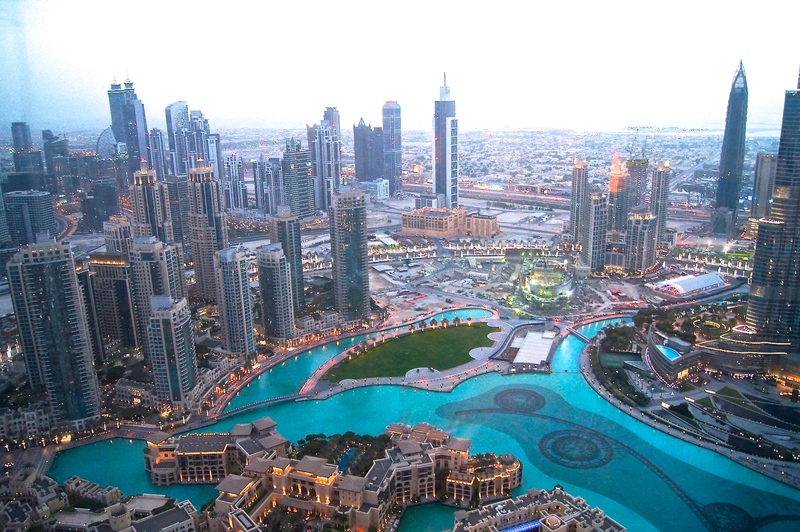 The Dubai fountains are located right next to both the Dubai Mall and the Burj Khalifa. So after you have finished your shopping then simply step outside and watch the amazing fountain show that happens every night at 6 p.m. The worlds biggest fountains dance to various tunes from Celine Dion to Andre Bocelli to Arabic instrumentals. Tip: Best seen at night (there are 2 day performances) get your position about 15 minutes before the show starts. There are shows every 30 minutes. Skiing in Dubai? Yes you heard right, there is a ski field in Dubai and it’s located in the Mall of Emirates. You can enjoy skiing, snowboarding and tobogganing all over 22,500 squares of snow. There are five runs with the longest being 400 metres. You don’t need to bring your own skis or clothing as they are included in your ticket price. They even have ski instructors, restaurants overlooking the slopes and a play park. It doesn’t matter which company you go with, just get yourself a ticket as it’s the best way to explore Dubai. If it’s your first time to Dubai then this will take you easily around all the main points of interest. Spend the day getting on and off at whatever takes your fancy. I chose the Big Bus, which runs three different bus routes that can be utilised on the one ticket. Dubai is a spread out city, so depending on what part of Dubai you are staying at, there will be a hop on hop off bus within your area. 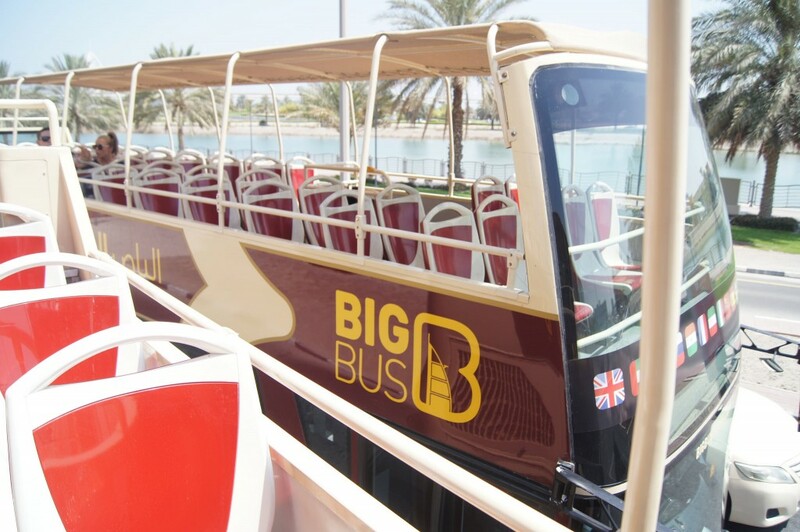 The Big Bus tours have a bus for the City areas, the Beach areas and the Marina area. There are various points where you can interchange buses to take a different route. I found it was a great introduction and a way to get your bearings in Dubai. 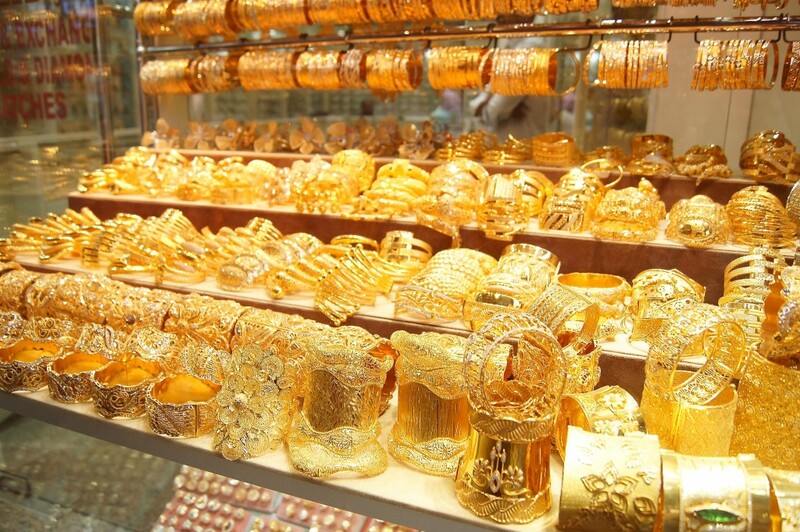 If you love gold and jewellery, then head to the gold souk located in Deira which is the old part of Dubai. A labyrinth of shops where you can barter merchants for the best price. Gold may be the main item sold here, but there is also the spice souk, clothes, bags and the usual tourist trap items being spruiked here. A great way to view the sights along the Dubai Creek is via a boat ride. There is no need to pay for an expensive tour cruising down the river. Simply jump on an Abra (water taxi) with the locals, it’s a cheap way of getting across the creek or travelling from Deira to Bur Dubai. 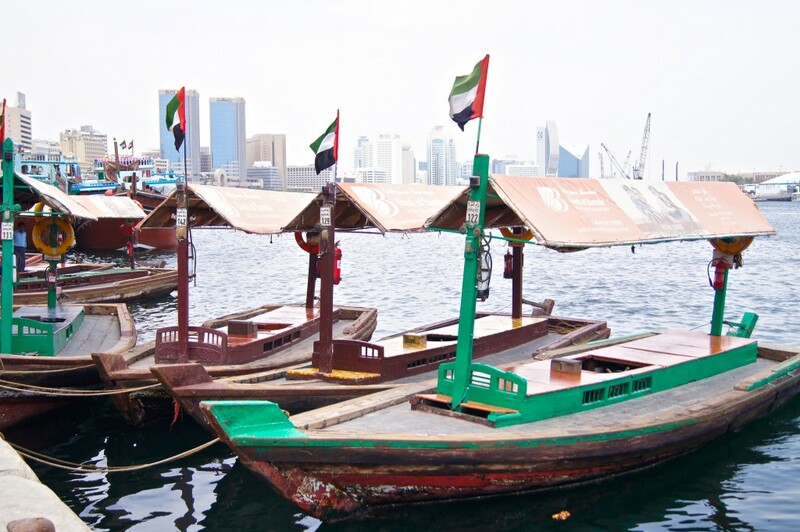 A water taxi will cost you about 1 dirham. If your stay includes a Friday, then why not book yourself in at a restaurant for the famous “Friday Brunch or Champagne Brunch”. Brunch is the done thing on a Friday, (which is the first day of the weekend in Dubai) and it’s not the light affair between breakfast and lunch that you may think. It’s all about indulgence in food, free flowing alcohol and a chance for both expats and tourists to let their hair down. There are plenty of different experiences on offer and involves every type of cuisine. 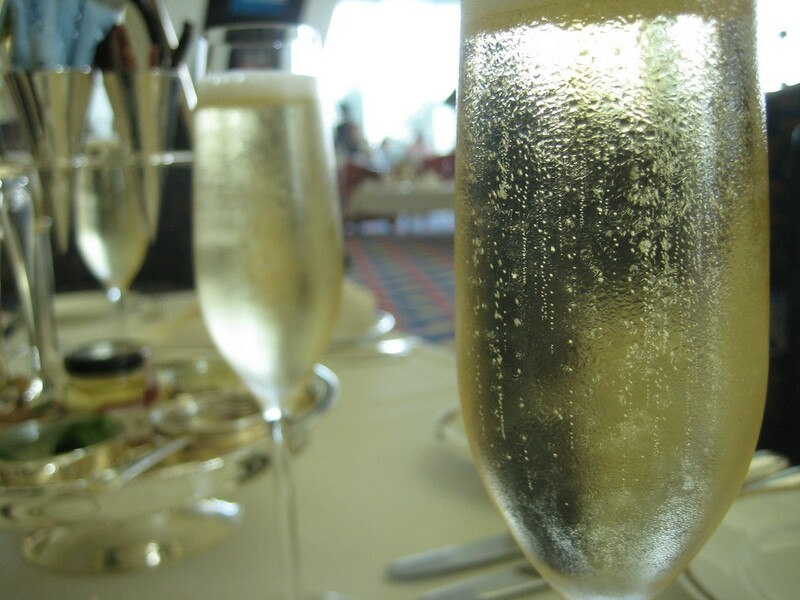 From the upmarket (serving free flowing Moet, Veuve and prime steaks) to the more casual affair – there is something to suit everyones budget. Looking to take the kids somewhere for some wild fun? 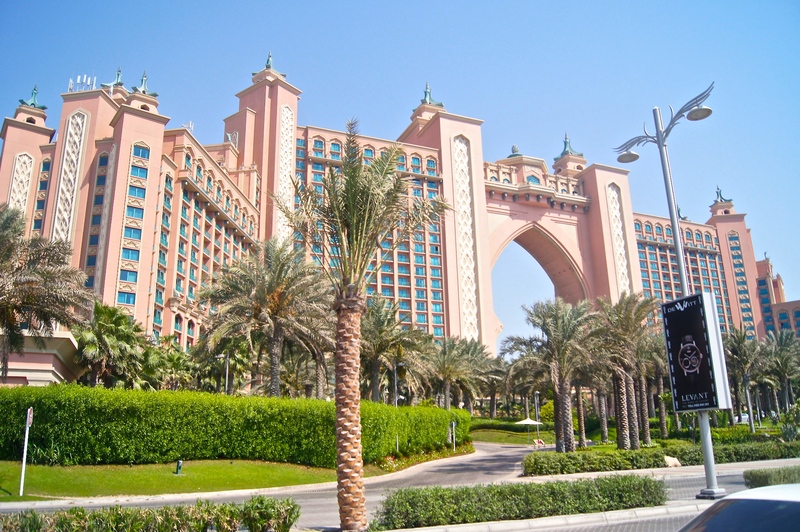 Then they will most certainly enjoy this waterpark located in front of the Burj Al Arab. With over 30 rides, there is something to suit all ages. If you are a keen surfer then you could try out the wipeout and riptide flow riders experience (wave pool), which is one of only four of it’s kind in the world. 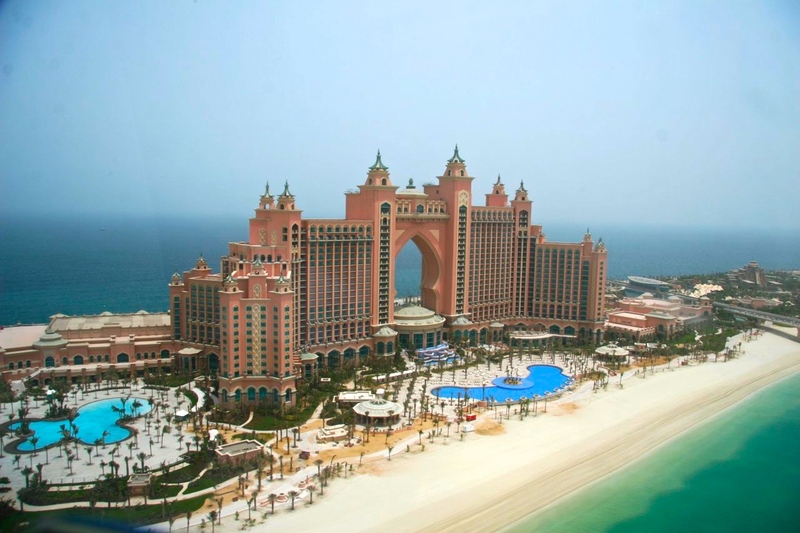 The Atlantis is located on the Cresent of the Palm and is a one stop resort. It’s worth taking a ride up to the Palm for some great photo opportunities. There is plenty to do and see even if you are not a guest of Atlantis. 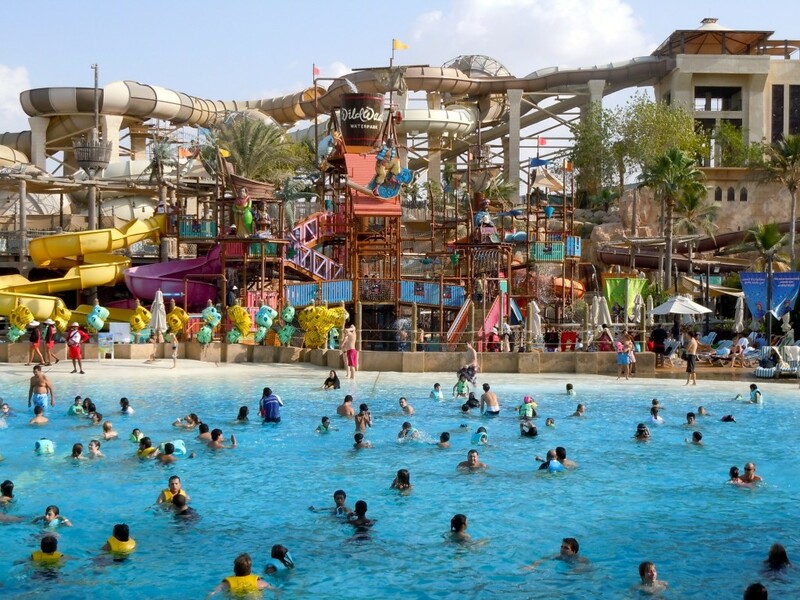 They have their own water park called Aquaventure which rivals that of Wild Wadi. Here you can not only enjoy the water rides but swim with dolphins, sharks and stingrays. There is also the ‘Lost chambers’ Aquarium which is located in the shopping mall. There are onsite restaurants located within the small mall. Keeping on the water theme, you can even stay in their aqua themed suites, where you will be privy to floor to ceiling views of over 65,000 marine animals in the Ambassador lagoon. 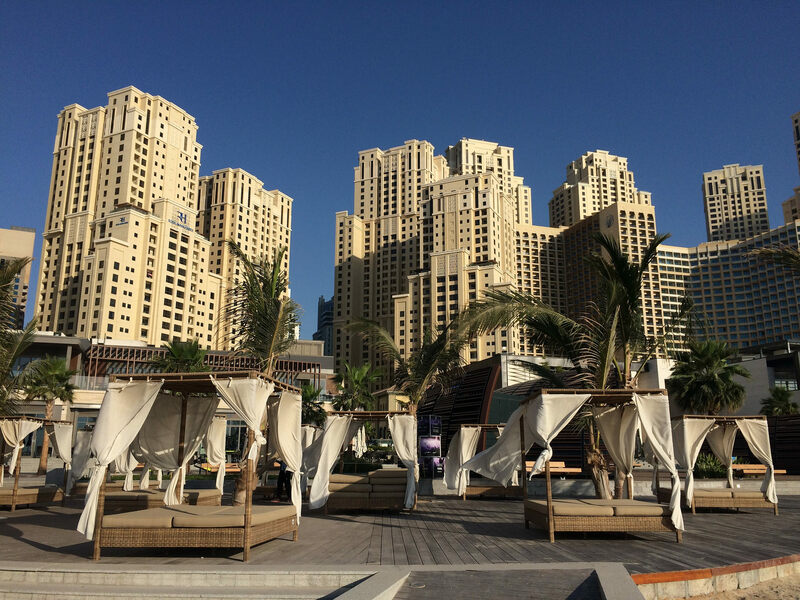 The Marina Beach is located near the Dubai Marina and overlooks “The Palm”. A great calm stretch of beach with plenty of things to see and do within this area. Lot’s of beach activities for kids, volleyball nets, camel rides and restaurants lining the beaches edge. With plenty of facilities, static workout equipment and sun lounges for rent, it’s the hub of activity whether you are in the water or ambling along the walking path. 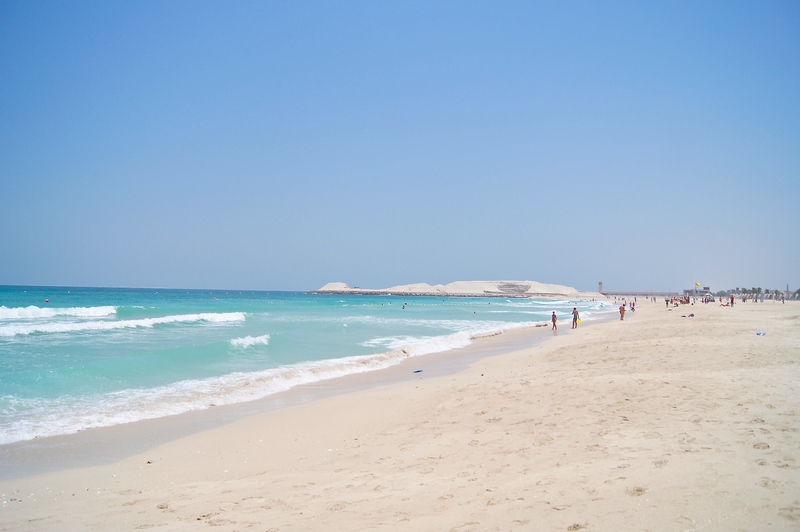 Located beyond the other side of “The Palm” is Jumeirah Beach. A popular place for sunlovers to lay about working on their tans or great place to simply frolic in the sea. The Burj Al Arab or as it’s come to be known as the ‘sail’ building is a popular destination and the best place to get a snap of this building is on Jumeirah beach. If you wish to go inside this building it is strictly by reservation only, so no last minute drop ins. They offer an afternoon tea service, a bar and a nightclub at this Hotel. 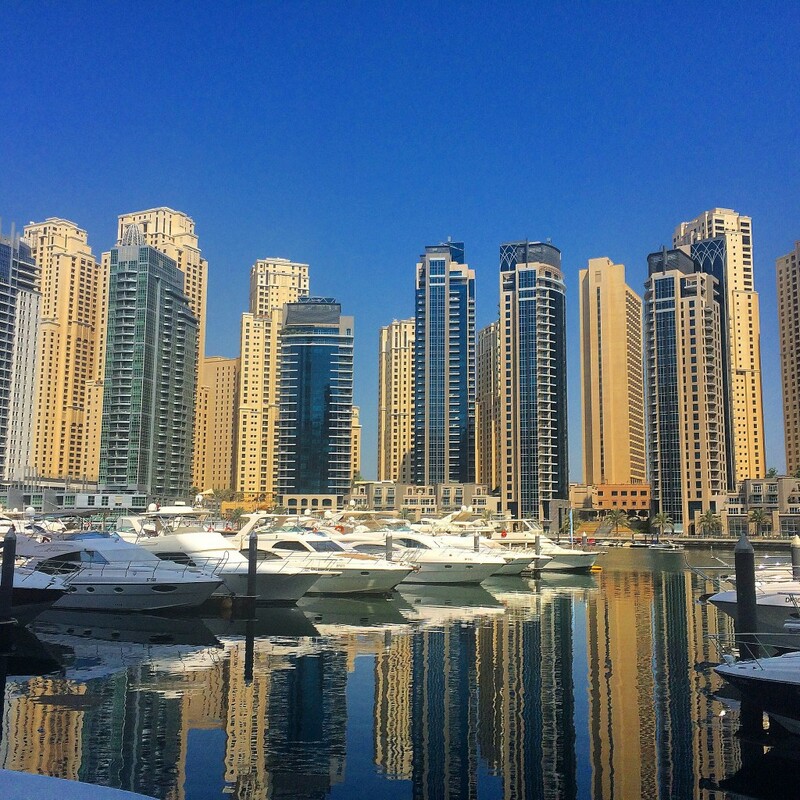 A peaceful walk around the marina will have you admiring the architecture, the boats and some lovely restaurants. There is also a good shopping mall located within this area with plenty of variety of shops. The marina is quiet during the day but at night it livens up with plenty of people about. 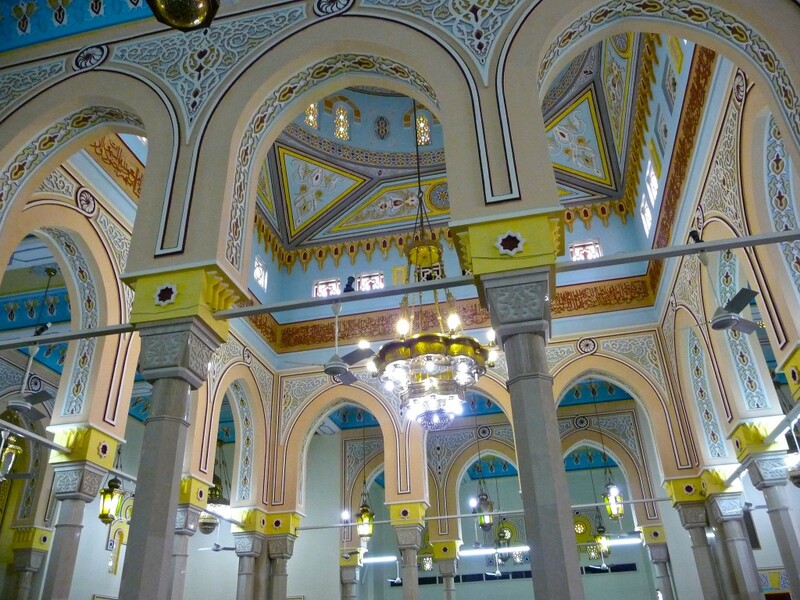 Visiting the Jumeirah Mosque will give you an insight into Islam. Each day at 10 a.m a guided tour runs for tourists to experience the mosque and learn about the culture. Simply turn up before 10 a.m to register. For a unique and memorable experience in Dubai, why not jump out of a perfectly good plane? 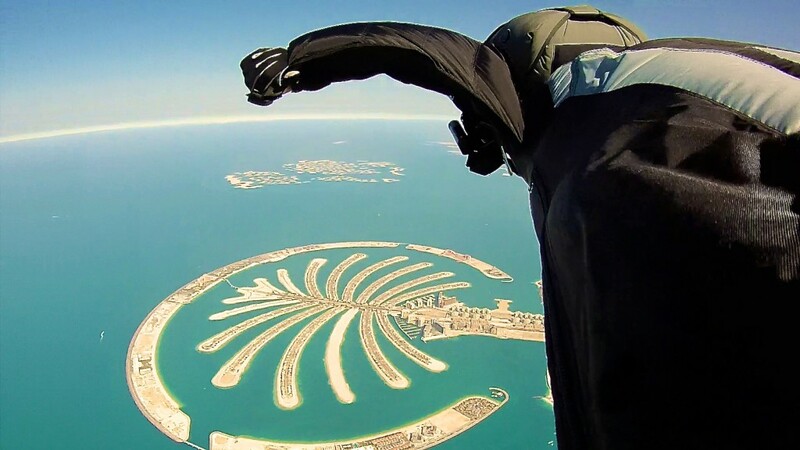 Skydive Dubai boasts a spectacular drop-zone, 4000 meters above Dubai and the man made island of ‘The Palm”. They also have a second drop-zone over the equally impressive Arabian desert. A tandem jump with still photos and professionally edited video doesn’t come cheap, costing approximately 1,999 AED or $780 AUS. 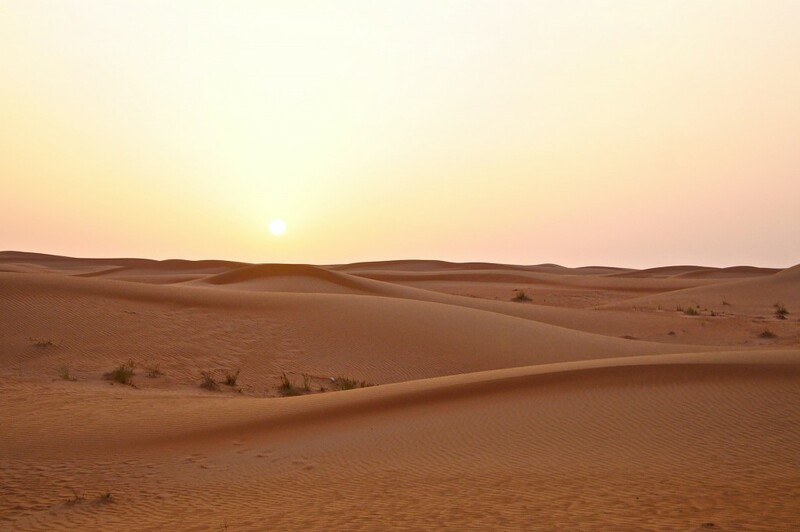 These are but a few of the things to see and do in Dubai, there is plenty more to discover and the only limiting aspect is the amount of time your stay is to do them all! Great overview, and yes now I want to go! Great post Wendy but you missed Dubai Dolphinarium and Quad biking in Dubai desert. I visited it it’s just superb. 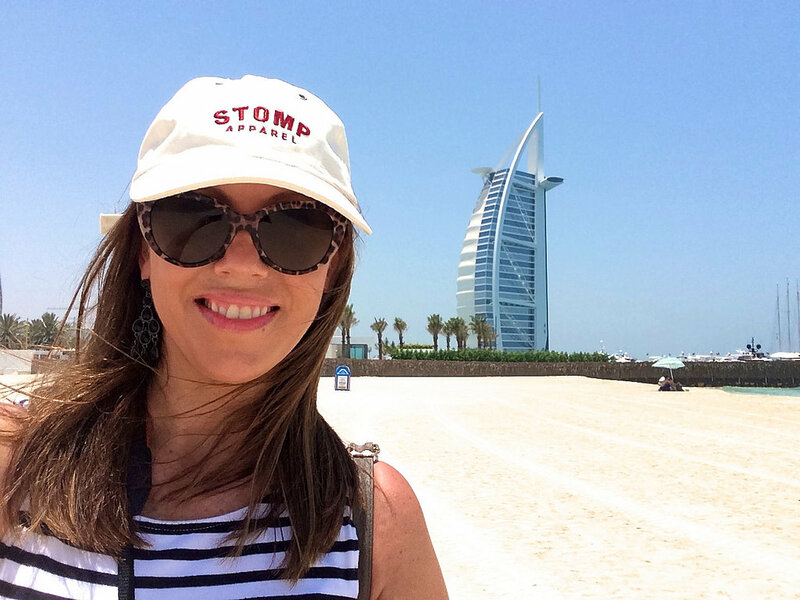 Hi Marianne, I’m glad you liked my article and I agree Dubai is amazing! I didn’t get to Abu Dhabi, hopefully next time! ?